Some books are just absolutely beautiful. So beautiful that writing a review about them seems like a pretty hefty challenge. Still, I have been blogging for a canny while now so I will do my best. Get ready for a whole lot of feelings about The Sealwoman’s Gift. In 1627, Ásta’s life changes. She goes from being the pastor’s wife on a small island off of the coast of Iceland, to the captive of pirates and a slave in an Arab land, where everything is strange and unknown. Her new life feels alien to her, not least because she has been seperated from her family and stripped of any freedom she once knew. The only thing she has managed to hold onto is the sagas and folktales from her own childhood. Ásta’s story was wonderful, and it felt like a genuine honour to witness it. She was imperfect, flawed and fiercely likeable. Watching her try and survive events I could barely even read about was harrowing and thought-provoking. 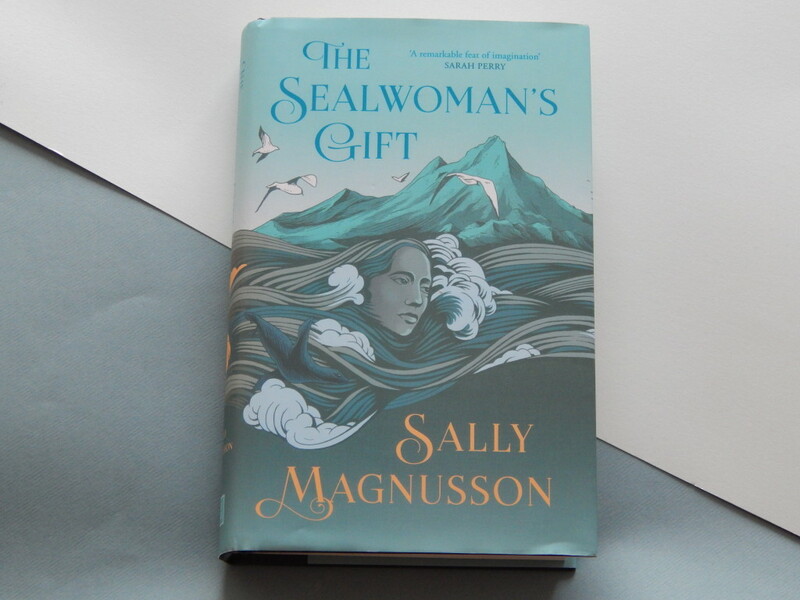 It is testament to Sally Magnusson’s writing however that it was also mesmerising. There was magic crafted into each of the pages of The Sealwoman’s Gift. Magic that meant that I felt a whole whirlwind of emotions while reading the novel, with Magnusson’s expertly controlling them as she told a story of survival, identity and a woman’s refusal to be silenced. Throughout the novel, Ásta’s sense of self was challenged as outside forces impacted her identity. She was a skillful storyteller in her own right, and one with a sense of who she wanted to be. Even though she made mistakes, all of the decisions felt distinctly like Ásta’s, which meant that I was fully under the spell that character and author had managed to weave. It had an impact far beyond its pages too; for days after finishing The Sealwoman’s Gift, I would suddenly remember something from it and have to mull it over for a while. This is a book with a big impact, though it delivers its punch with lyrical whispers and musings. On a far more superficial note, this novel is physically beautiful. As you can see from the picture, the cover is just as stunning as the writing it houses. What you can’t see is the gorgeous endpapers. When you pick up this book (because seriously, you should), you will be as in awe of them as I was! P.S The Sealwoman’s Gift was given to me by the PR but all opinions are my own.